Boom! 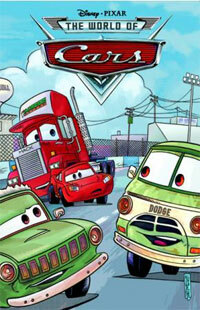 Studios will be distributing its new Disney comics through newsstands and mass market bookstores in the United States. Back in March, Boom announced a deal with Kable Distribution Services for newsstand distribution of their monthly Disney/Pixar comics The Incredibles and Cars. It is this same distribution channel that will be used for the new titles that start in September, including Walt Disney’s Comics & Stories (WDC&S) and Mickey Mouse and Friends. Kable has a lot of experience in getting comics to kids with the distribution of their Archie Comics, which is virtually the only comic book available at grocery stores like Wal-Mart. To purchase any other comic book, Americans need to find a specialty comic book store or go online. This is quite different from the situation in many European countries, where Disney comics are sold nearly everywhere and reach huge distribution. A friend in the comic book industry has informed me that Kable will be handling Boom’s Disney comics, including WDC&S and Mickey Mouse, putting the single $2.99 issues in regular stores across the country. Trade paperbacks will be available in book stores like Barnes & Nobles. Wow, this is great news! If Disney comics are to be displayed at stores like Walmart and Target it will greatly improve the exposure of these comics to the younger readers that Boom! is targeting. Remember that back in 2002, Steve Geppi, owner of Gemstone Publishing, also announced his plan to bring his Disney comics to stores like Wal-Mart and Target, via Diamond Book Distributors. At that time he seemed pretty confident about being able to do this, but we all know how that ended. I hope that this will not happen again. Sounds promising, doesn’t it? I’m excited! 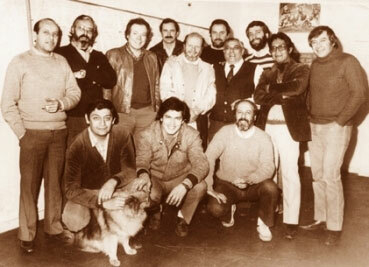 On Saturday, Argentinian animator and cartoonist Jaime Diaz passed away at the age of 72. Diaz founded the Jaim Diaz Studio in 1975, an art and animation studio in Buenos Aires, Argentina, that became a large supplier of Disney comics (S-coded stories) for foreign-market Disney comics from 1975 to 1989 and also for the Disney Comics books in the United States in the early 1990s, for which they produced material for Rescue Rangers, Darkwing Duck, DuckTales and several other series. Over the years the studio created over 1500 Disney comic stories (see index). Newsarama has some more news about the Disney comics from Boom! Studios that will come out in September. They spoke with the publisher’s co-founder Ross Richie, who confirmed that Boom has indeed acquired the comic book license for comics with Mickey Mouse, Donald Duck and the gang (yah!). They will begin publishing the new titles through their Boom! Kids imprint. Richie said: “The Gemstone material that was being printed most recently are some of the greatest comics in the world â€“ you're talking about Carl Barks and Don Rosa and all these incredible creators, but what we're going to be doing is branching off and going in a completely different direction. We're going to start to approach the Mickey and Donald material from a completely different direction, and we're going to try to have something that at the same time is less the 'greatest hits' reprints and more dovetails into what the Boom Kids stuff is, which is sort of an add to and extension of, modern presence creative take on these classic characters that I think can connect with kids today." I just returned from a rather disappointing trip (we drove to Florida to see a space shuttle launch that was canceled) and came home to some awesome news that has me all cheered up again. According to reports on comiXtreme and Bleeding Cool there’s an ad in the latest Previews catalog from Diamond Distribution for new Disney comics by Boom! Studios! 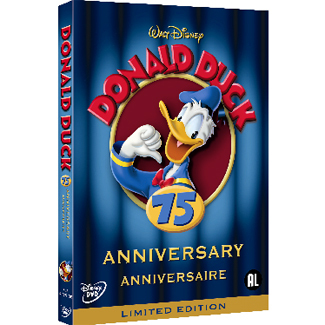 This confirms last month’s rumor and it means that Disney comics starring classic characters, including Donald Duck, Mickey Mouse and the gang, will soon return to the United States. The news comes just months after it became clear that Gemstone Publishing, who ran Disney comic titles from 2003 till the end of 2008, lost its license due to financial problems. The quick turn-around on this is impressive, especially in these economically tough times. Negotiations with Disney Publishing Worldwide must have gone very well for them to win the license this quickly. Last time it took several years for a new publisher to pick up the license (Gladstone’s run ended in 1999 and Gemstone started in 2003). 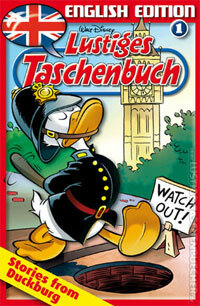 Dutch publisher launches new Donald Duck magazine … for adults! 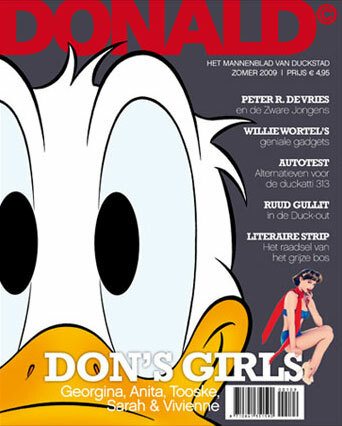 This month, Dutch publisher Sanoma Uitgevers has launched a new men’s magazine called DONALD, targeted at adults. 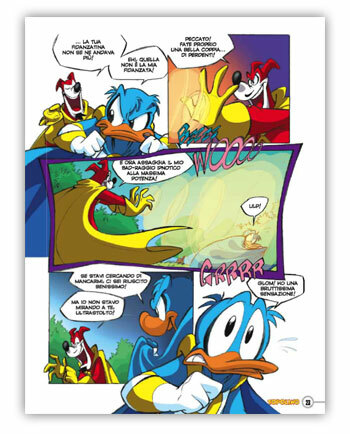 The new 154-page glossy magazine features articles about lifestyle, cars, sports, gadgets, travel and more, as well as comic stories with Duckburg’s famous duck. It is no secret that many grownups across Europe read Disney comics every week; being subscribed to the local weekly Donald Duck or Mickey Mouse comic is a tradition that is deeply rooted in local culture. Making a magazine just for adults makes sense, and I applaud the publisher for trying this out.